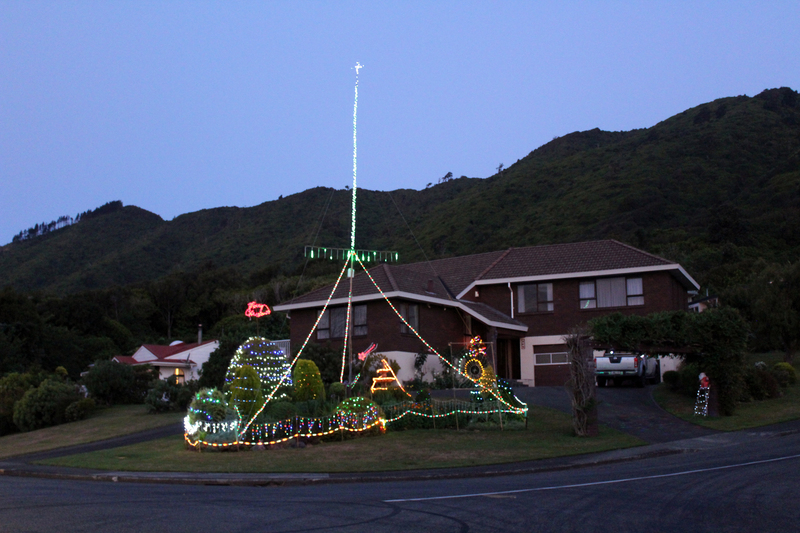 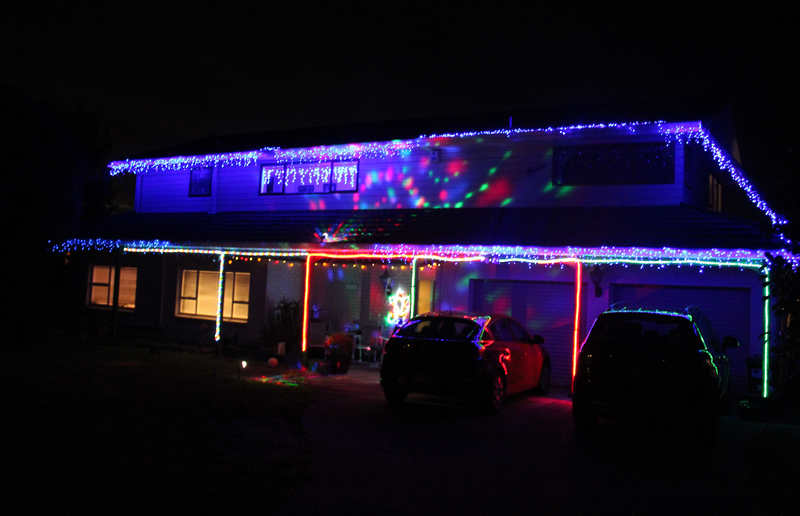 The corner of Huia and Amokura in the hills: another elaborate installation that would have looked better in full darkness. 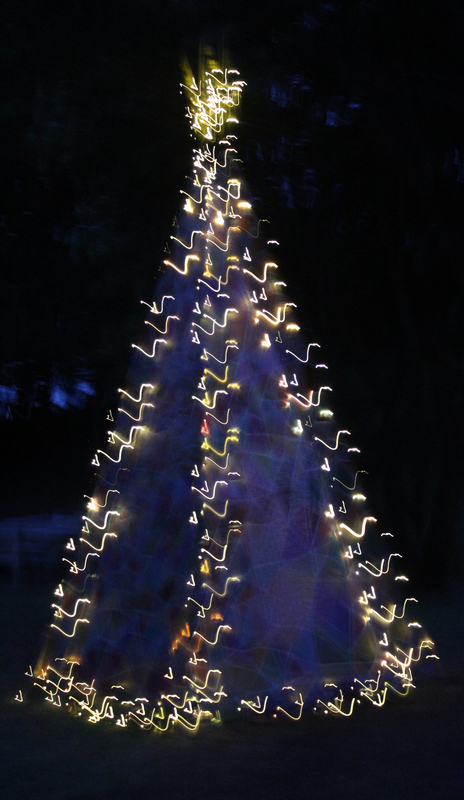 The sparkly beach domain pyramid. 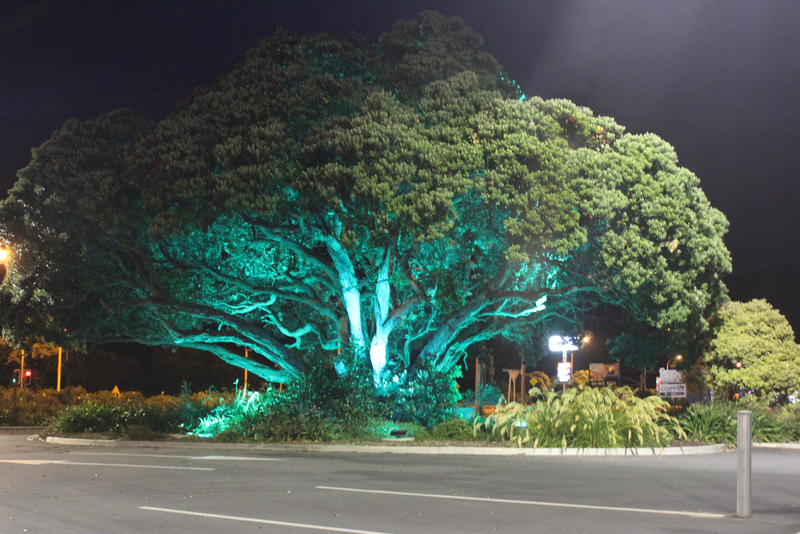 Not specifically a Christmas lighting display, but this heritage listed big pohutukawa tree in the Grand Carpark is impressively lit up with a sequence of colours at the base.